The Line Drive is a weekly collection of news, links, and updates that didn’t necessarily warrant their own postings. •NBA 2K11 finished 8th in sales for May as the only sports game to chart. •EA Sports tries to argue that the PSN outage didn’t hurt them. •Operation Sports has a NHL 12 producer blog focusing on gameplay. •The NHL 12 cover athlete will be announced on Wednesday. 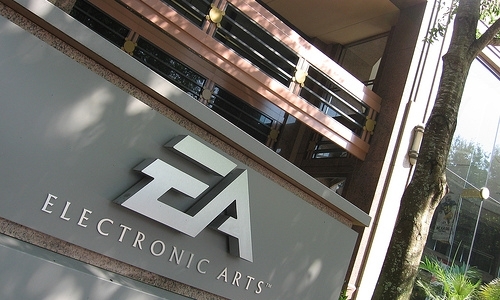 •EA Sports is opening dedicated retail stores for some reason. My dad taught me how to brush my teeth, how to dry myself off when I took a bath, how to shake a man’s hand. He would have, had he had it his way, also taught me to be a racist. I’m not sure if he knew he was a bigot. My guess is he did, he was a very smart man. The fact that he was so smart makes the racism all that more confusing. I would like to think all racist’s are ignorant, but my dad taught me that’s not true. My dad would watch television with me as a kid, his favorite show every week was ” soul train” he would watch it and make racist comments about the people dancing on the show. This didn’t have the effect on me that he intended. I became a huge fan of the music, the first album ( that’s how old I am an actual album ) that I bought was Michael Jackson’s thriller. I still know every word to every song because I played it over and over again. I learned that I like people who are different than me, I don’t judge people. I try to get to know somebody before I decide if I like them or not. I believe had I not had the experience with my dad as a kid I wouldn’t be who I am. I guess my dad was taught to be a racist. Strangely his best friend was an African American. I herd him asked about that and he would always answer the same way, ” he’s one of the good ones “. That statement always makes me cringe. I can with a heart full of love for my old man thank him for teaching me that racism is wrong even if it’s not what he intended. I can also say proudly that the cycle of racism is dead in my family it ended with my dad. Happy fathers day to all dads, you teach us more than you know. 25 videos into a single longer reel that goes in order of the teams listed. Auburn, Boston College, Clemson, Colorado, Florida, Florida State, Georgia, Georgia Tech, LSU, Maryland, Michigan, NC State, Nebraska, Northwestern, Notre Dame, Ohio State, Oklahoma, Ole Miss, Oregon, Purdue, Tennessee, Texas, USC, Virginia, and West Virginia. Microsoft has developed a new chip, which could reduce the manufacturing costs of the Xbox 360. Could New Xbox 360 Chip Lead to Price Cut? Microsoft has announced the release of the SoC (System-on-chip) processor for the new Xbox 360 250GB Slim Kinect-ready model. According to International Business Times, the new piece of hardware combines the CPU, GPU, memory, and I/O logic onto a single chip that contains 372 million transistors. The innovation is said to allow for better power efficiency. But more importantly for consumers, it will reduce manufacturing costs, as fewer chips need to be made. Whether this will result in a price drop of the Xbox 360 Slim has not yet been confirmed. But with Microsoft pushing Kinect hard at this year’s E3, it could be the perfect way to encourage uptake of the device. Check Out What’s New With NCAA 12 Road To Glory Video.Download Demo On June 28th! NCAA Football 12 hits stores on July!! Often in my life I’ve felt that I’ve overpaid for things. I’ve spent thousands of dollars for car insurance over the course of my life, and I’ve never received a penny back. So with this in mind I must admit I feel like a thief in the night. I’ve just witnessed some of the greatest sports entertainment of my life, all for free. The NBA playoffs. This was a great playoff run. Basketball is young man’s game and this year we saw that on display. With teams like the Memphis Grizzlies and Atlanta Hawks bringing new blood to the playoffs, and the recent champions losing early, it made for an interesting post season. The finals were the icing on an already delicious cake. The Dallas Mavericks paid their dues they have been a very good team for along time, but never quite good enough until this year. They played much better when the games were on the line and I believe it was game planing and defense. Coach Rick Carlise was clearly the better coach in this series. He’s knows a little something about paying dues as well having bounced around the league for a couple of years. Carlise has mellowed over the years and it suits him and his veteran team very well. Time and time again we saw shots of Eric Spoelstra looking a little bewildered followed by a shot of Carlise just coaching like he’s seen it all before, which he has. Yes basketball is a young “man’s” game. The more mature team full of grown men are the champions and the Miami Heat are a much better team after having played them. I have very little doubt the heat will be back in the finals very soon. And they will be a much more experienced battle tested team, that’s what paying your dues is all about. I’m just glad to have witnessed it all, it was great and had the television screen went blank at any point, and a message scrolled across the screen that read “if you want to see the rest of this game it will cost you”. I would have gladly paid. Nintendo has finally debuted the much-anticipated next-gen Wii console, the Wii U. If you expecting a simple refresh for the motion-gaming system that started them all you were wrong: The Wii sports a similarly compact yet more traditional look and feel of your classic consoles – deviating from this, of course, with the addition of a 6.2-inch touchscreen-tablet controller. The device also functions as the remote and comes complete with front-facing camera, stand-alone games, photo viewing, video chat, Web browsing, and more.